This year’s Musikmesse trade show is a topic for a separate post, which is going to happen very shortly on en.beatit.tv and we will share our impressions from the event with you. For now, let us only mention the fact that the number of exhibitors from the drumming industry has been decreasing year by year, and those present set up rather modest displays this year. 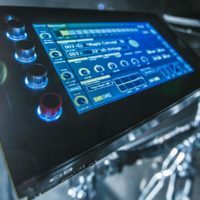 An exception to the rule is the Yamaha company, which have been putting a lot of effort into their exhibitions, be it at NAMM Show or in Frankfurt, and this year was no exception. Naturally, BeatIt couldn’t have missed it. 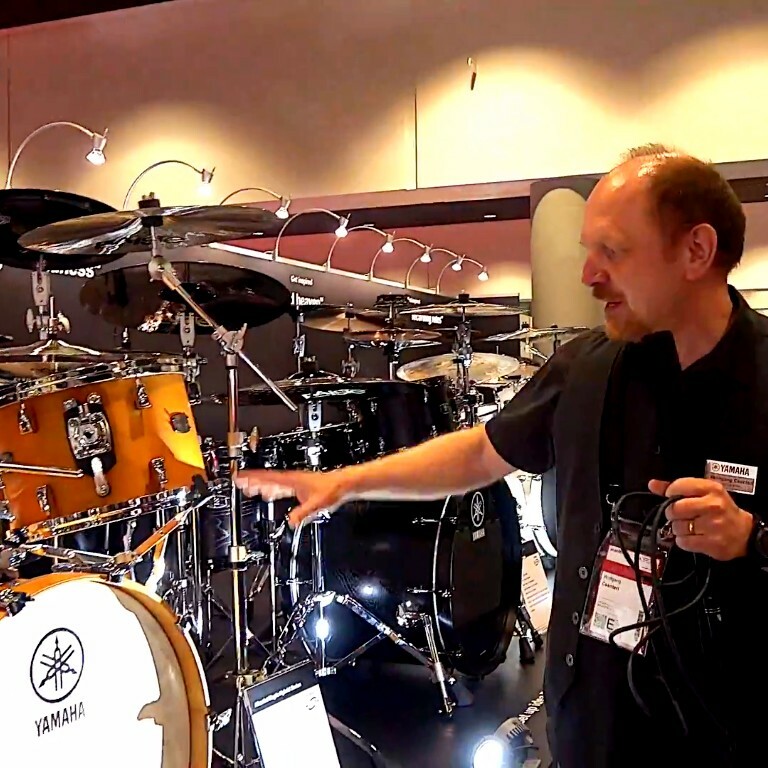 Here is our report from the electronic drums exhibition at Yamaha’s stand at Musikmesse 2018. 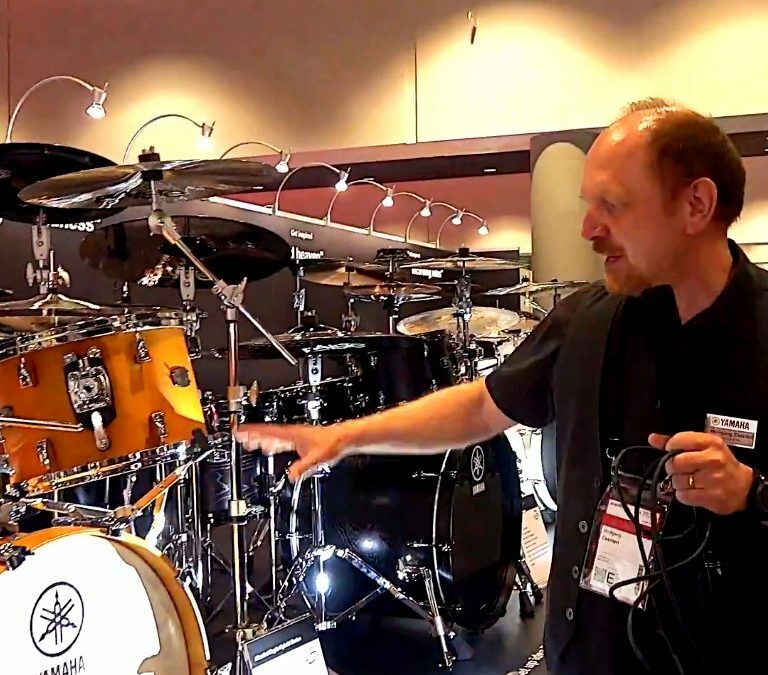 Wolfgang Csenteri, Product Manager Drums at Yamaha Music Europe GmbH, is our guide on this tour. 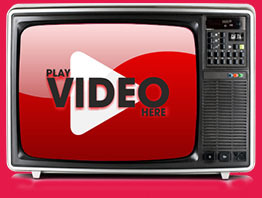 Most of you are familiar with such instruments as Fender Stratocaster or Gibson Les Paul. In drums, the Yamaha Recording Custom kit is such an instrument. 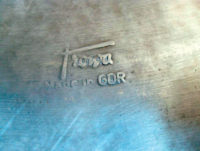 It is probably the most recorded drum kit in history. No wonder Yamaha displayed it at their Musikmesse booth, even though the new version of this legend was premiered two years ago. 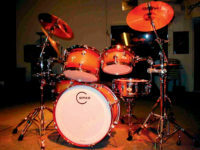 Yamaha offer a wide range of drum kits, e. g. the Rydeen series or the Stage Custom. The latter was displayed with a set of electronic pads to give some idaes on how to configure a hybryd kit. 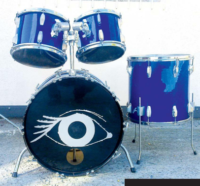 Another drum kit displayed by Yamaha was a black Live Custom (made from oak), which was accompanied by black Paiste cymbals to create a dark monster kit for rockers and metal heads. Very nice-looking indeed. The Hybryd Maple kit takes its name from the fact that there is a single ply of wenge wood inside the plywood. 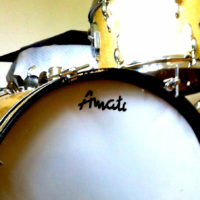 Natural matt finish gives the kit a very nice vintage touch. The Hybryd Maple is an effect of research made to create the PHX kit. The thick, 16-ply shells for this high-end kit were designed by Yamaha crafsmen about 12 years ago. Materials used to build them include such woods as kapur, jatoba or ash. The Hybryd Maple benefits from those experiences. The new Yamaha Tour Custom drum kit features 100% maple shells. It is available in such mellow, satin finishes as Caramel, Candy Apple, Licorice, Chocolate and Butterscotch. It is a mid-priced maple kit. Yamaha have also been developing as a distributor and have taken the Protection Racket drum and cymbal bag brand under their wings. The product range, as well as quality, are quite impressive, we must say.